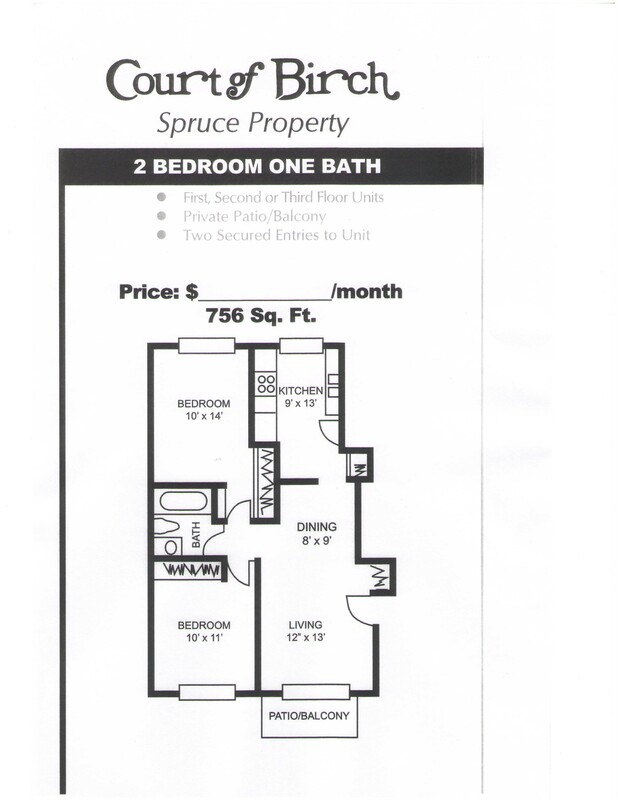 2 Bedroom One Bathroom - Floor Plan - Pace Realty Group, Inc. Although these are our smallest two bedroom apartments, they provide a great, cozy floor plan. These units provide you a window in the eat-in kitchen and plenty of windows to enjoy ample sunlight. These units are located in our Court of Birch or Court of Spruce three story buildings and they can be located on any of the three floors.